Many experienced advertisers realize that there are many gotchas in the AdWords system...optimization tools and default setting which optimize to boost Google's yield at the expense of unsuspecting advertisers, who don't yet know what match types are or that their ads are syndicated to content sites by default. 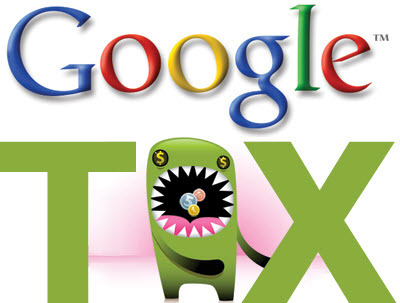 To help new advertisers get past many of the gotchas we created the Google AdWords tax calculator - a free utility which highlights many stumbling blocks that catch new AdWords advertisers. Does Google like auto-generated websites wrapped in Google AdSense ads? Originally when launching Mahalo, Jason Calacanis claimed that it would be spam free and that SEOs would have hell to pay. He had a multi-month sales pitch leading up to the launch of his site where he kept stating that Squidoo is spam and kept calling SEOs scumbags so he could pull in attention and links. This was well received by SEO conference organizers because people would talk about how outrageous Jason's speech was online, so (seeking marketing for their conferences) the SEO conference organizers acted like lap dogs standing in line waiting for their turn to have Jason call their paying attendees scumbags. The publicity strategy worked great as it helped land Jason some mainstream press coverage and a lot of ditto head bloggers (who lacked either the experience or the mental faculty needed to see the bigger picture) got behind Jason. Mahalo's goal is to improve search results by eliminating search spam from low-quality websites, such as those that have excessive advertising, distribute malware, or engage in phishing scams. Webmasters have a vested interest in seeing their sites listed. Calacanis has said that algorithmic search engines, like Google and Yahoo, suffer from manipulation by search engine optimization practitioners. Mahalo's reliance on human editors is intended to avoid this problem, producing search results that are more relevant to the user. Instead of a server farm that crawls through the entire known Web so it can automatically match Web pages to the queries you type, Mahalo's search results are created by humans, in anticipation of the queries its users will type in. How can this possibly work? Because, Calacanis says, the top 10,000 search terms account for 24 percent of all searches. If you can create great results for the top results, users will learn to appreciate the difference between machine search results--which are often thrown off by spam and poor-quality links--and human-powered search pages, lovingly created by caring search editors. For the obscure "long tail" queries that make up the 76 percent of search terms, Mahalo will serve up Google results. Their content was not Pulitzer prize level, but the strategy paid off and they started pulling in search traffic. In spite of claiming that he just wanted to dominate the short head of search volume, that is not how Mahalo started gaining search traffic. Even if they poured hundreds of Dollars into a piece of content the generalist content with little to no topical expertise could not compete for the most competitive and highest traffic search keywords. You need to have something useful or original to add to the conversation if you want to compete for the most competitive keywords, and penny pinching outsourced content doesn't get the job done there. Instead what happened was that they ranked almost instantly for keywords like "best computer speakers" even with low quality scraped content. Around the time I highlighted the emergence of that strategy, Google's Matt Cutts was interviewed about it and claimed that it was fine because Jason Calacanis was using MediaWiki to create his site. 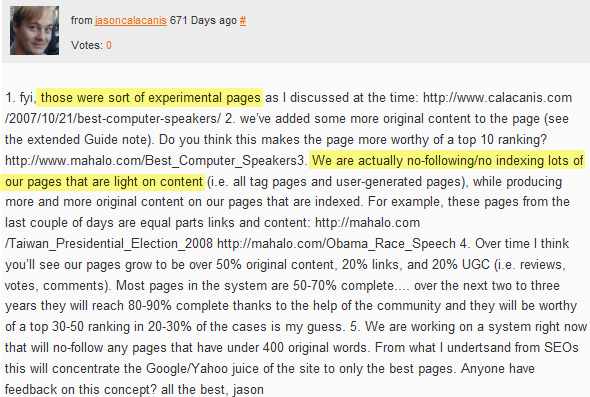 Jason also did a bit of damage control in a Sphinn comment where he claimed the spam pages were "experimental pages" that "we are no indexing"
That was 671 days ago. What has happened since? Everyone just copy Jason Calcanis and Mahaloo, ok? That sounds like a GREAT idea. Jason dissed SEOs in public, at a keynote, on purpose, and then learned a bit so he wasn’t quite so ignorant of SEO any more, and is now working the SERPs as a black hat SEO. Jason dissed affiliates in public, at a keynore, on purpose, and then learned a bit so he’s not as ignorant of affiliate marketing as he was before, and now Mahaoloo has embedded (inline) affiliate links (take a look.. added since Affiliate Summit). I think every "Learn how to Make Money Fast on the Internets" web site should simply point to Mahaoulo and say "copy them.. they are riding the black edge of gray hat SEO" and be done with it. So simple... just copy them. As they add pages, add splogs on those same topics because those are money terms. Every time they link to some resource, link to it from that blog. Scan technorati for Jason’s comments, and add one of your own right into that thread.. every time. 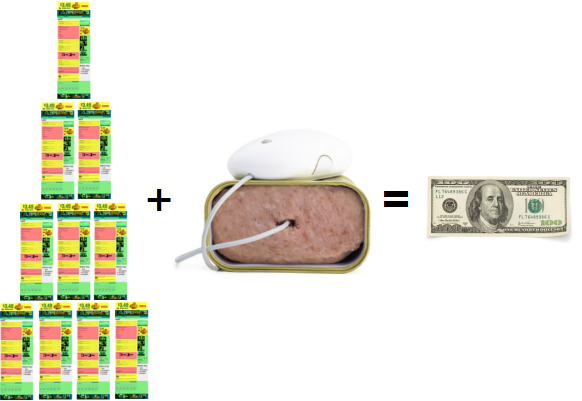 Let Jason pave the way to profits.... each time he justifies his spam, he’s justified YOUR spam as well. Every time he explains how he’s not a spammer, he’s explaining why YOUR not a spammer either. Best of all, he’s being your spokesperson for FREE! Well the above computer speakers page that was highlighted still ranks in the top 5 search results in Google. And the site has been growing quickly, with traffic increasing at least 3-fold over the past couple years. Jason used the economic downturn as a convenient excuse to fire most of their editorial staff. But a big piece of that traffic growth is that they have got more sophisticated in their content scraping strategy. To appreciate how reliant their model is on scraping content, I want you to see how a new page starts off. Once you strip the ads and scraped content from that page there is nothing left but branding & navigation. Two other noteworthy things about that page are that it was generated by a robot (see below) and that it is already indexed in Google. Once you have enough domain authority you can publish automated scraped garbage and rank well in Google. It is the Mahalo strategy. That page (which was automatically generated in under a minute by a fake user robot named searchclick) is already ranking well in Google! How do you know searchclick is a fake user? Well look through all the different pages they created in under a minute over the course of the last year...likely 10,000's of them. Search engines like Google scrape content so that they may provide a service of value to end users *and* publishers. When they make your snippets they are used to help promote your website. What Mahalo does is take snippets, and publish them as content on their site. So they use your page titles and your content snippet to rank their site using your content, without your permission. If you optimize your page titles on a new blog post you are helping to feed relevant optimized content into the Mahalo machine. They will scrape it, and if you are less authoritative than they are, they will likely outrank you! To add further insult to injury, they put nofollow on links back to the content source which they are scraping content from, so while they are "borrowing" your content you are not getting any link credit for it. As abusive and as extreme as the above sounds, it is actually only the first step in the process. What happens next is that if your content (published on Mahalo without permission) causes the Mahalo page to rank for new valuable keywords then they may feed those keywords into their page generation tool and keep making more auto-generated pages in that area, leveraging their domain authority and YOUR content to compete against you while building an automated spam empire. Some of the top earning pages might have freelancers thicken them out, but the only reason humans are involved at that stage is to legitimize the mass content scraping farm that is the base of the operation. If a company has 200,000+ automated pages with 0 overhead that make 5 cents/day each that is real cashflow - $10,000+ per day of profit! Still not convinced of the profit potential? Mahalo.com has ~ 300,000 pages indexed in Google. On auto-generated pages it is far easier to get people to click an AdSense ad than it is to get them to buy something from Amazon.com (and you profit on 100% of the ad clicks vs only 1% of the Amazon.com clicks that convert). While there are 4 AdSense blocks *above* the Amazon.com affiliate links, Jason did $250,000 on Amazon's affiliate program last year "without trying" (again, his own stats in his own words...see Flickr.com/photos/jasoncalacanis/4234615626/ ). If you build link equity and are good at public relations you can get away with murder in Google. Scale it big enough and the guidelines simply do NOT apply to you. Originally when launching Mahalo, Jason Calacanis claimed that it would be spam free and that SEOs would have hell to pay. Now that he is scraping your content (and adding nofollow to the links to your content) I think he is right. You are losing out on your search traffic because an authority site is "borrowing" your content and outranking you with your own content. Jason got Squidoo penalized by calling it spam, and under the same level of scrutiny, how is Mahalo which scrapes millions of 3rd party content listings *without any editorial filter* not spam? Squidoo at least donates $10,000 a month to charity. Mahalo just steals your content without permission and keeps all the cash. Are the search results going to start filling up with Twitter recycling start ups? What happens when the media gets in on this "what the bloggers have to say" scraping game? Does it even matter who created the content so long as someone wraps it in ads & ranks it? I don't think we can stop people from being greedy or stealing, but I am surprised Google has turned a blind eye to this process. Is this what they want the web to become? Dennis Goedegebuure, aka DennisG, is the head of eBay's in-house SEO team. After seeing him make some great posts in our forums and chatting a bit back and forth I asked if he would be up for doing an interview about SEO. And the result is the following 12 pages full of great actionable tips for anyone looking to learn more about in-house SEO best practices. Thanks to Joost for introducing us. What is your background and how did you get into SEO? After I finished a master in Economics at the University of Amsterdam, I started at eBay in April 2002 in the Internet marketing team for eBay Netherlands and Belgium. Just 5 months before eBay had acquired iBazar, the European clone active in a large number of European countries. iBazar relied heavily on traditional ways of marketing like TV, radio and print. eBay invest the majority of its marketing budget in direct acquisition of customers through internet Marketing. So I was hired as the second employee in the IM team. During my tenure at eBay.nl, I worked at direct portal relationships like Yahoo & MSN, did some early paid search keyword buying with Google when they entered the Dutch market, and worked on the acquisition of the largest classifieds site in The Netherlands, marktplaats.nl. To become better in communicating with our local developers, I started to learn code languages. HTML was obviously the first one, and definitely a must have skill set to become more effective explaining what I needed from the developers in the projects. However, your skills in html become rusty very fast if you don’t use them, so I started coding my own websites. As we live and breathe data as internet Marketers, I was definitely intrigued by the potential of SEO as a traffic source. Since I didn’t want to invest money yet in these sites, I only had time to invest to drive more traffic to my sites. SEO seemed a good way to get more traffic. Within eBay you have the ability to control your own destiny if you take action. If you would like to move to another job, you can work your way into it. After the acquisition of Marktplaats.nl, I took a broader role in SEO for that site, as well as the Natural Search projects for eBay.nl. Marktplaats has it’s own development team. Which is not the case for eBay.nl, which is on the global platform where the majority of the product releases are driven out of the San Jose product teams? In 2004 I was invited for a trip to eBay Marketing College, where I met my future manager in the US. A year later I got the chance moving to San Jose, in a job to coordinate the global Natural Search projects. At the time we had local teams working on Natural search, and there was a big need for best practice sharing and coordination of the global projects. Now, 2009, I’m working in a centralized team in San Jose, where we are responsible for the Natural Search traffic for all eBay global sites. We consult on the Classifieds sites and on PayPal where needed. And we have very good relations with the in-house SEO teams of the Classifieds group, Shopping.com and Stubhub. Over the last three years, I have consulted on SEO with Skype, StumbleUpon, Rent and half.com. It has been fun to see the different challenges and the different solutions the teams bring to the objectives they set for the SEO projects. And I learned a lot about SEO and scalability. A large number of people have shaped me in my thinking about SEO. Among them well known names in the SEO industry like yourself, Danny Sullivan, Vanessa Fox or Michael Gray. Thank you all for sharing the wealth of knowledge! One particular colleague that has made a lasting impact how I work has been Alex Schultz. Alex is just an incredible smart guy, who has such amazing diverse background knowledge in Internet marketing. I would work with him in any team, at any time again! You do SEO for one of the largest online websites and yet you also run a few of your own websites. How would you compare the differences between your enterprise level efforts and what the average SEO experiences working on smaller websites? I use my own websites to test small tweaks or new techniques in the broadest definition of Internet Marketing. I’m learning everyday from other people online. It’s important to make sure you are not being focused on one traffic source too much, and not to become too specialized. On large scale, enterprise websites it’s extremely important to think about the long term impact of certain changes. A site like eBay is like an oil tanker at sea. Where you can make fast changes on your smaller website, which can be easily rolled back, on a large site like eBay, the product roll out process is much more complex. As eBay has been a large target for phishing in the past, a great number of extra security checks are required. For enterprise websites you would need additional skill set to be more effective. Where in the smaller websites you can rely on getting your requirements in using your technical skills talking with developers, in the larger organization you would need to manage projects and resource allocation through other managers. Those managers might have different incentives or maybe even a different political agenda. Getting your work done in that environment requires the in-house SEO to have a lot of persistence and patience. What are some of the things you have done which you have found to be most beneficial in helping to evangelize SEO and get buy in from other managers? Sometimes it pays off to get somebody from the outside who can embarrass all the things that go wrong from an SEO perspective. As building connections with the rest of the organization is essential for the success of your future partnerships within the organization, you can hardly flame all the SEO misses in front of a large audience. I’ve done this a number of times and had some good success getting the attention SEO needs. It may have helped that I got some senior product folks into the session who have become the biggest SEO ambassadors in the company. Having these senior folks helping you can catapult your career as well. As an in-house SEO you may find yourself in between different departments. Having a sponsor in each and every department will help raise your profile among more senior people, who can help you in your next projects, career moves or just with advice how to deal with complex problems. You mentioned that people should not be too focused on any 1 traffic source online. What are some of the best things smaller businesses can do to help lessen their reliance on search? What types of businesses & products work best with leveraging eBay as a source of customers? Link building in the broadest form. Even no-follow links will help any small business to grow in traffic. We as SEO’s are so focused on the link as a means to improve rankings, where we have forgotten the real function of a link. A link is “linking” two documents to each other for easy navigation of the user. Links are good for generating traffic. Getting more links to your pages/site, will generate more traffic. Early this year I gained a link from Valleywag to my blog. Looking back at 2009, this single link was the second source traffic to my site! Furthermore, think about StumbleUpon. Stumbleupon can still drive a significant amount of good traffic to your site, as long as your pages are tagged in the right category in SU. I’ve sent the post from Darren Rowse, Why StumbleUpon Sends more Traffic Than Digg, to a number of starting entrepreneurs. Also Brent Csutoras had a more recent post this year how StumbleUpon is one of his major sources of traffic. Read for yourself at: The Stumble Effect: StumbleUpon Hits the Big Leagues. 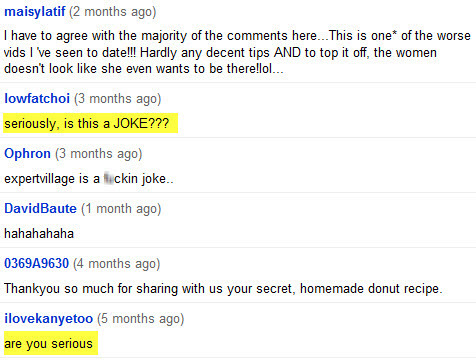 “StumbleUpon is the gift that keeps on giving” I always say. One of my sites gets hit almost once a month’s with a peak of traffic from SU, (see picture below). This can be a great way of lowering the reliance of your site on search as the main source of traffic. As an SEO consultant and blogger writing about the latest changes in SEO, I (and other folks) sometimes try to figure out how algorithmic shifts might play out. From your experiences with eBay, do some of us bloggers tend to over-emphasize what might happen? Due to the gravity and strength of your network of websites, does eBay end up seeing far less volatility than smaller sites end up seeing? I don’t think SEO bloggers over-emphasize what could happen. It’s just you might have other conclusions from what you see happening in the rankings or traffic to your sites than others do. Each site reacts differently from algorithmic changes, as each site has a different link profile, content focus or site architecture. All you can do is report what you see happening when an algorithmic shift is happening. What I would encourage SEO bloggers to do, is ask more questions for their readers to respond on. What you might see, might be different than what others see. Learning from the responses might give you new insight. When it comes to seismic shifts in the algorithm, we don’t see that much volatility in traffic. Where one page type might lose, another one can gain. The same with keywords, where we might get more traffic on branded searches, there might be a loss in generic product name searches. The larger the site, the less volatile the site can be to algorithmic shifts. Now, having said that, it’s still difficult to see what the real impact is on a site like eBay from changes like Vince or Caffeine. We will see when we all get caffeinated, but given that eBay has invested in site speed, has relevant content for online shoppers looking for great deals and is growing in number of items for sale, I expect eBay to do well getting more visitors through Natural Search. What are some of the easiest things to mess up when working on a site of that scale? Working on a large scale website, will usually mean different teams are working on different parts of the site. These teams will have people leaving, and new people joining. Without having the proper best practice sharing or historical SEO learning’s in place, you will find yourself running behind every project in flight to get your requirements in. As an in-house SEO team, we are self promoting the team on a continuous basis, build new connections as people come in, scan for projects that might become critical for our success and go after the owners of these. I would say, the easiest thing to mess up traffic working on a large scale site is losing overview of what the organization is working on, key objectives for the organization and how SEO can drive/contribute to the overall objectives. Being plugged in, is key to stay on top of everything. Here it comes down to what we call in Europe: Fingerspitzengefühl. After that, all technical changes are a matter of prioritization and resourcing. Based on our assumptions we need to show the possible downside or the upside on any of the tradeoffs that are made. Have you ever had any happy accidents where someone changed stuff without mentioning it, causing an increase in traffic? Yes, just recently a renewed internal focus on site speed has also shown some good increases of traffic in Natural Search. I was aware of the renewed focus, where I actually kicked off some of the discussions back in 2007. Now that site speed is becoming more important as a ranking factor, the projects to enhance the speed of the eBay pages might pay off more in 2010. What all success metrics do you look at when evaluating general changes to a site of that scale? I don’t believe rankings will tell you a whole lot, as this varies too much across data centers, personal search or location based on IP targeting. Rankings can only be directional, not actionable. At eBay, the majority of traffic is on long tail keywords. The amount of keywords that we are getting traffic on, is so large, that we hardly be able to track any of the positions. So I sometimes do some rank checking with your rank checker, but only from home not from the corporate IP address. But with rankings comes traffic. So even if Rankings are not a leading indicator of your success, rankings will produce the traffic which is your objective. Estimating traffic impact of any changes on a small site is difficult, but you can easily manage the risk rolling back any of the changes. On a large scale site, it’s much more difficult to roll back any changes in infrastructure. Even test results on my own site generally will not be a good proxy of the impact similar changes will have on the larger eBay sites. This is where search engine guidelines and user experience will come in. Taking the long term strategic approach, we don’t want to lose rankings and we don’t want to lose traffic. What is good for our users, most of the time will be good for search engine rankings. You mentioned that a lot of your traffic comes from longtail organic search. Across the search marketing field as a whole, there is an amazing budget gap between paid search and organic SEO, where organic SEO offers higher returns but is typically done on a small fraction of the budget. As a marketing investment, why do you feel SEO has lagged paid search? Have you noticed competing businesses shifting more resources into SEO lately, or is it still way behind? What might cause further SEO investments at companies large & small? I strongly believe the gap between the investments in paid search and SEO are caused by the direct response effect of Paid Search. As a business it’s easier to predict how the sales will react tomorrow on the dollar invested today. For SEO, it’s always hard to predict the outcome of any investment. I actually struggle a lot with this internally. We have to compete with other teams over product resources for the core site development. If another team has come up with a new seller feature which they predict to increase revenue by a couple of million dollars, it’s hard for me to secure any of the resources based on a competing revenue estimate which might have a lower accuracy level. With the economic downturn earlier in 2009, paid search budgets have seen a decline. You could see that in the growth numbers from Google, where “only” a 3% Y-Y growth in the second quarter was realized. However, I felt the increase in investments in SEO across the board. I got more job offers and headhunter calls than the years before. Also, it was more difficult to fill open positions in our team, where in-house SEO people were in higher demand. The more small & large companies become aware of the power of SEO, good rankings, long tail keyword traffic and the search based user behavior, more companies will start to invest in SEO. This sounds like nothing new we have seen in the last couple of years, but in the coming years, the space will become even more crowded. There are only 10 first page results, and sometimes not even 10! Some small companies will use consultants and pick for some good advice to fall back on DIY implementation, larger companies will probably want to employ a full time in-house SEO person/team. You can see this trend clearly with the rise of specialized streams in the SEO conferences focused on in-house SEO. When you run a site that large, is there any easy way to phase in tests while minimizing risks? No. As product life cycles are fairly long compared to other, smaller websites, there is less opportunity to test on the core site. And even if you can run a test, we have to keep in mind that more than 1.5 million people rely on their eBay sales for their primary source of income. We service these people to make sure they are successful. Driving traffic to their items for sale is our most important objective. Now, that does not mean we don’t do test at all. We have a number of initiatives where we test, and luckily I have a VP who used to run the Natural Search channel. He understands how important testing is. We get a lot of freedom to deploy smaller initiatives off the core platform to do some testing. Actually these test projects are paying for themselves as the revenue derived from the test sites outweigh the costs in the long run. One example of our test projects, the New-Pulse (currently we are having some smaller issues with the cronjobs, will be fixed soon) was a way to tap into the wisdom of the crowds of successful bloggers. My intention for the project was to have blogs like Gizmodo and Engadget do what they do best; bring the newest gadgets to their readers, and we analyze what products will become winners. I published about the project here, after I got questions how it worked at the Jane&Robot session in San Francisco. This particular project gave me a lot of new ideas what I can do with our internal data, and how to leverage the broader data streams that you can find all over the net. Small anecdote; based on the insights from the New Pulse, I found out there is an active knitting community who knit socks during the months of October, calling it Socktoberfest. Pictures of the socks are being shared on Flickr. Here you can see how I picked up this trend. When you guys implement strategic changes does traffic sometimes do a head fake and go the wrong way before moving the direction you expect it to? It depends what you mean with Strategic changes. If we chance the focus towards a certain category, traffic might increase immediately because of the higher exposure that category gets through our PR efforts. If strategic changes mean product changes, the traffic can be impacted to a large extent. This is why the Natural Search team at eBay has been growing for the last couple of months. There are so many product changes and projects initiated, that we will need to leverage the product teams as much as possible. To answer your question, yes, we have seen this happening. Over 2009, we introduced a number of side wide changes. For a long time, eBay has been known using notorious URL structures. The usage of “maverick” URL’s was causing more pain than it did any good. Removing the double encoded parameters from the listing URL’s, and introducing the canonical URL tag, caused a first drop, followed by traffic to stabilize again at prior levels. However, the expectations are to see traffic increase over the coming months because of less duplicate URL’s for the same page. When a lot of your content ends up being user generated, how do you encourage your users to optimize it to help bring in more search exposure? Our community of sellers is extremely smart in getting more traffic to their own items. Some of them are getting really creative, and have become good Internet Marketers themselves, without even knowing it. If you are a seller at eBay, and you would like to become successful, you would do activities that resemble the activities of most SEO’s. Keyword research, title/headline construction, quality content in the item description, good pictures for the window shopper, and maybe even some social media on- and off eBay. However, their success stands or falls with the tools that eBay provides the sellers. For years we have special tools for the sellers that have an eBay store. Custom categories, larger images, store descriptions at the top of the page, custom page title optimization tool. We have a number of help pages describing these functions. This reminds me I have to start a project to update these! Furthermore, eBay has a top sellers outreach team. A former colleague of mine from the International Marketing team is now working on that team. She reaches out to me pro-actively to get top ranking factors or tips into their customer outreach scripts. Next year, we will conduct a dedicated SEO best practice sharing session with the team in Salt Lake City to educate them on SEO. While we are there, we probably will be spending some time with our Customer service representatives to understand how they can help the community of sellers becoming more successful through integrating SEO into their listings. If a seller is looking to maximize the exposure of their eBay auction listings or stores do you ever recommend them driving traffic with paid search or building links into their pages from other sites? If so, what are some of the techniques you have seen sellers find most effective for increasing the exposure of their eBay listings? To my knowledge, we have not actively promoted buying paid search ads to our sellers. More so because of the double serving restrictions from the search engines. We have been fairly successful in driving paid search through our PS platform, where we have included stores as a landing pages as well. I have seen sellers becoming very successful in promoting their items through personal blogs. They even make money on the traffic using the eBay Partner Network. This year we also re-launched the keyword buying program on eBay. Sellers can get more traffic to their listings using Adcommerce. In Adcommerce the seller can bid on keywords to have an ad appear on the search result page and drive more traffic to their listings or eBay store. A lot of your content ends up cradle to grave quickly...where there are millions of new listings and millions of expired listings going through the system. What are some of the keys to helping search engines understand the structure and importance of content in such a fast changing environment? As the most important content is hidden deeply in the site, and like you said ends up quickly, discovery has become one of our primary focus points. We have invested a good amount of resources in our data-feed technology & analytics. The Sitemaps protocol plays an important role here. As eBay has so many new listings every day, over the course of the day, you can almost update the sitemaps on a continuous basis. However, the effort to source the items from the database, generate the sitemap files, submission and pick up, takes decent amount of time. We have made good headway tuning our feeds in way to get more efficiency out of the items we send. We started optimizing based on probability of conversion. We can make these assumptions based on predictive modeling and data. Predictive modeling on large datasets will become even more important when it comes to scaling the projects. As a company, we are putting lots of efforts in building out a competitive advantage based on analytics, predictive modeling and scaling the technology to handling even larger datasets. Next to the Sitemap submission, eBay makes sure certain trends and categories are being communicated through PR efforts. For 2010, you can keep an eye on what’s hot in Pop-culture and fashion on eBay by keeping track of The Inside Source. Here you can find stories behind the data on eBay. Has the verticalization of search created more opportunity or less? Do you guys devote a lot of resources toward vertical search databases? Up until now, we have only focused on the shopping verticals, as the shopping comparison sites. Here we have invested in specific feeds where we push items to their sites based on our optimization algorithm. Our classifieds sites, which are more locally organized, have done more on the local optimization. They also play in the housing and job markets, which makes it more relevant to optimize for the local or vertical search players. People sell some of the most remarkable items on eBay, and sometimes items can generate quite a bit of buzz before the listing ends. When listings end for buzz-worthy and well linked to items is there any way to capture that built up equity? Currently, we distinguish between 3 types of View Item Pages. Open, closed, Expired. Open, means the item is still for sale, which can be between 1-30 days, depending on the sales format. We also have a format for store listings, which has a duration of good till cancelled. Closed, means the item has just been closed, but will be available longer for review. The content lives in the database, and the page is still available on the same URL as before. We actually see that our community finds these pages very helpful in their purchasing process to look up historical prices. Expired, means the item is no longer available for review. The URL will give a 404 error, displaying a message the item has ended or has been removed. There have been some attempts to capture the link equity from the buzz-worthy eBay items in the past. A couple of years ago, a project was launched called: “Best of eBay”. This was essentially a digg-kinda site, where community could vote for the best and weirdest items. Unfortunately, the site was not designed with the eBay community in mind, and poorly marketed. It failed to live up to its expectations, and the project died. You are right that there might be a good way of capturing more of the incoming link equity on the rare and buzz-worthy items. I recently even bought a book on eBay, which listed all the rare and viral items over the years. Thinking about all the links that went to the Virgin Marry Grilled Cheese Sandwich, makes me excited. Maybe not a lot of people will be searching every day on a sandwich that displays the Virgin Marry, but at least you can sell a lot of toasters around it! I sometimes browse around the strange items that are for sale in search for link bait ideas. The strange eBay items are a perfect fit for pure white hat link bait. Just check out this Elvis Personally owned/worn Lion Claw Necklace that sold for almost $30K, or the auction of the popular PVRblog.com site, starting at $0.99, going for more than $12K. For 2010, I might start a new pet project that will tap into the wealth of strange and funny items getting PR attention around the globe. IMHO as long as the project drives value for our customers, it will be successful in the search engines too. And will be a lot of fun to play around with. You guys have more data than many search engines do. How do you leverage it help define your SEO strategy? I really love the eBay data! I have made it my mission, and a pet project, to do more with this data in the future for eBay and the seller’s community. The eBay site is not only a marketplace, where buyers and sellers can find each other for common or rare products; eBay is also very much a search engine which reflects shopping intent. This shopping search volume is accompanied with conversion data. Based on keywords, or product searches, we track what sells and what does not get sold. Our paid search colleagues are world class in building predictive models for the conversion rate per keyword. For over 5 years, the paid search teams have squeezed more efficiency out of the paid search budgets to get more for the same investment. On top of this predictive modeling, the technology team has build our own paid search platform, which makes it easy to scale large amounts of keywords, optimizing for the highest ROI, across multiple countries and platforms. If you have large amounts of data, it will become more important to invest as a company in analytical and technical resources. You need the analytics to understand what the data can tell you, on which you can form actionable projects to drive more efficiency. You need technology investments to build the platforms to execute against the learning’s the data has told you. One good example of this was the outbreak of the Zhu Zhu Pets as THE toy for the Xmas shopping season this year. A large number of online data providers have reported on the popularity of the little mechanical hamster right after Black Friday/Cyber Monday. I spotted an increase in search volume on the eBay site back in September, while digging through some internal eBay search data. Thinking about your career path and how many things worked well for you, what were some of the keys to so many things falling into place for you? If a person wants to become an enterprise level SEO, what are the key things they should focus on learning & doing? I thought that was a wise lesson, and it got me to the point in my life where I’m currently at. I had the opportunity to move to the US for a job that I wanted. If I would have acted out of my fears, I probably would not have done it. But facing the fears, and what these really were, it became really clear for me that I always could return back to The Netherlands without losing too much. Read the book: “Never eat alone” and start learning how to build connections and relationships asap! Keep learning more SEO on a daily basis. To keep up with Dennis check out The Next Corner (or its Dutch counterpart). And if you use Twitter his handle is TheNextCorner.